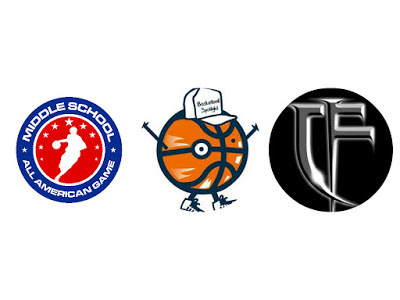 BASKETBALL SPOTLIGHT NEWS: Middle School All American Games Drawing National Attention! Middle School All American Games Drawing National Attention! Washington, DC------ St. John’s College High School in Chevy Chase, DC will host the Annual Middle School All-American Games and the regional Top Rising Freshmen Game The Coach Francis Classic on Friday, August 26th. 2016. Four games will be played, the first of which will tip-off at 6:00 PM in the school’s Gallagher Center. The Middle School All-American Games, modeled after the McDonalds All-American Game features both top local and national talent in the classes of 2021, 2022, and 2023. This is the only event in the world where top-ranked middle school basketball players collectively play in a national All-Star game. Participants were selected via votes by a national panel of scouts and media representatives, who have extensively covered middle school hoops on the grassroots level throughout the spring and summer. Some noted players scheduled to participate, are local up and coming stars Ryan Conway and 6'7 Detwan Montegu as well as national studs and Montverde bound 6'8 Trey Patterson (NJ),Texas' # 1 rated player 6'7 Duncan Powell, and the #1 rated center in the county 6'9 Caleb Furst. Emoni Bates 6'4 (MI) and Bryce Griggs (Tx) #1 rated player in his state, from the class of 2022. Friday night’s finale will be the Coach Francis Classic, a regional All-Star Game featuring the top rising freshmen in the class of 2020 from the Mid-Atlantic region. This game will feature many of the DMV’s top 20 ranked players going head-to-head in their last game ever at the middle school level. Some notable names scheduled to participate are top ranked national prospects 6'11 Hunter Dickinson, 6’6 wing Che Evans who was recently feature on The Undefeated & ESPN (click to read), primetime combo guard Jordan Toles, 6'8 Justin Lewis as well as the 6’6 Terrance Williams and two of the areas sleepers in 6'7 Will Skyes and 6'9 Trevon Todd. All coaches will receive free admission and have access to players as well as exclusive seating and entry. General admission is $10.00. Media personnel are encouraged to coordinate individual interviews in advance and register for the appropriate credentials. Basketball Spotlight Future Phenom Camp will take place Saturday and Sunday at the New 24 CLICK HERE for weekend schedule.